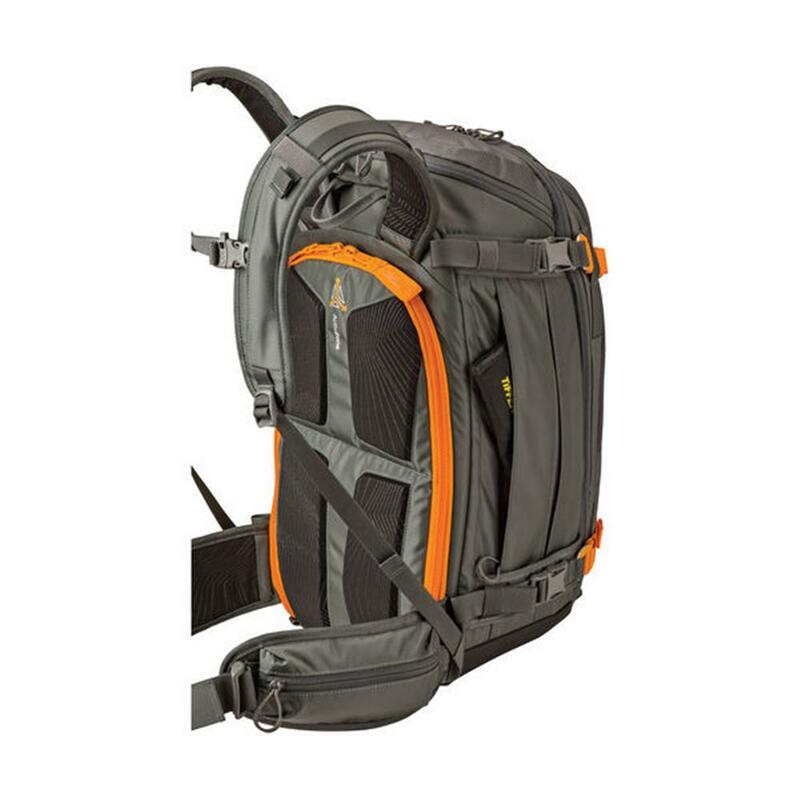 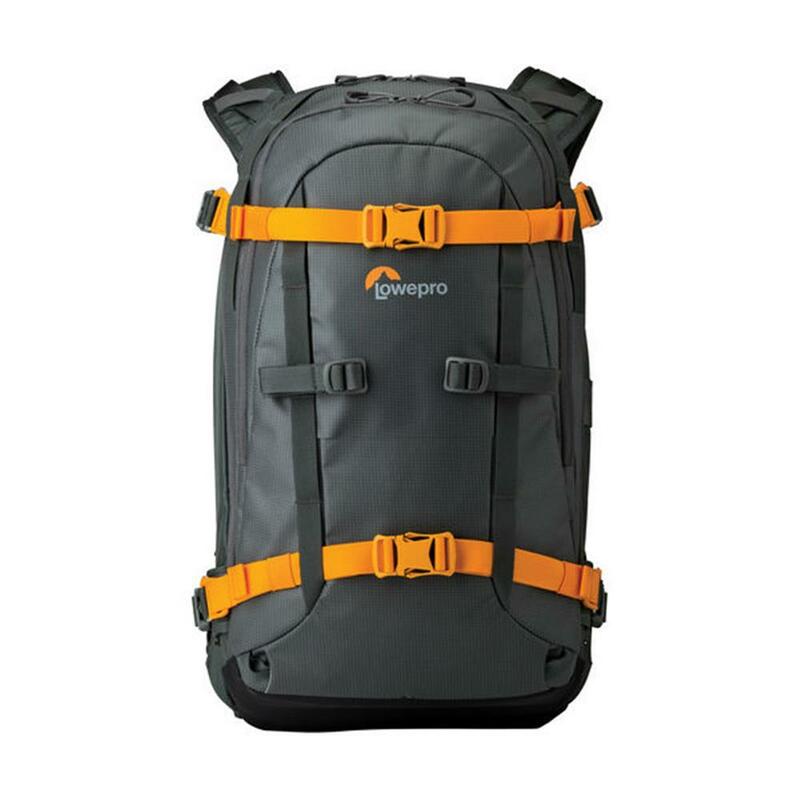 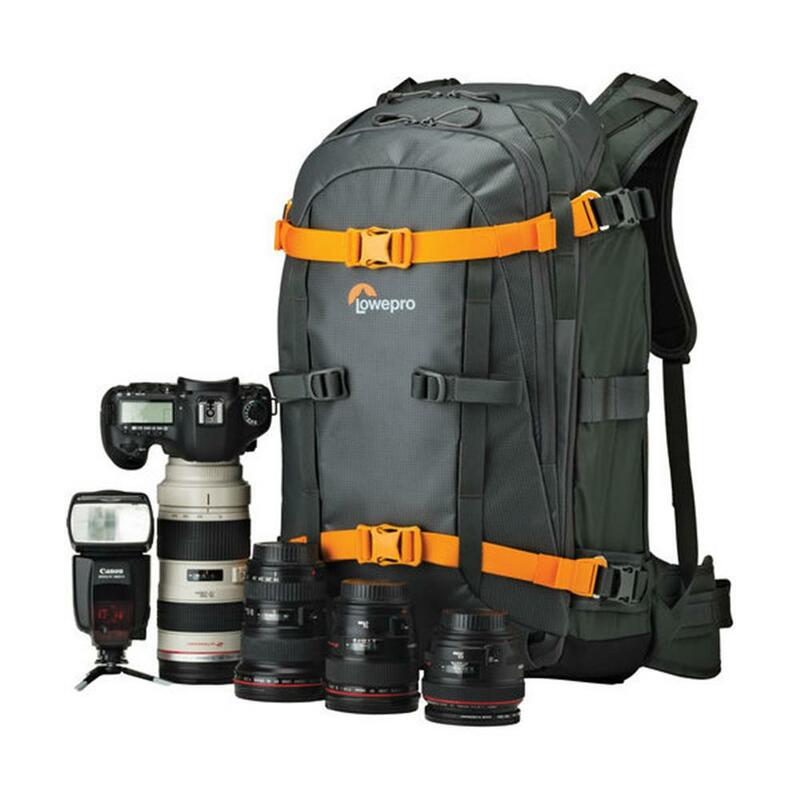 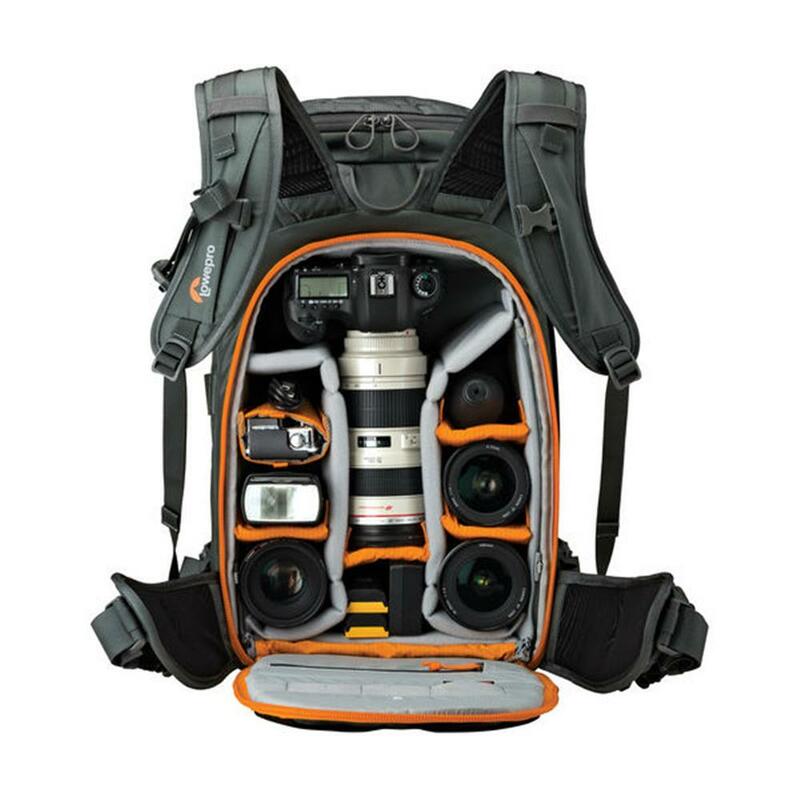 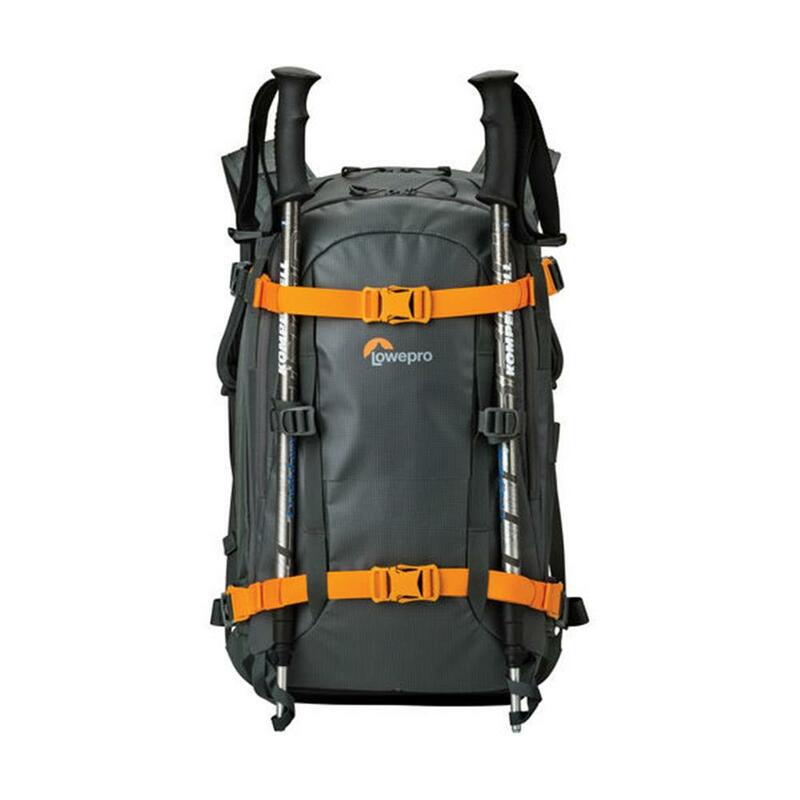 High-performance, mid-sized technical backpack designed to fit a DSLR (such as Canon 5D Mk III or Nikon D800) with attached lens (such as 70-200mm), 3 additional lenses, flash, GoPro, accessories and outdoor gear (such as trekking poles, ropes, mountain axes, crampons, climbing skins etc.). 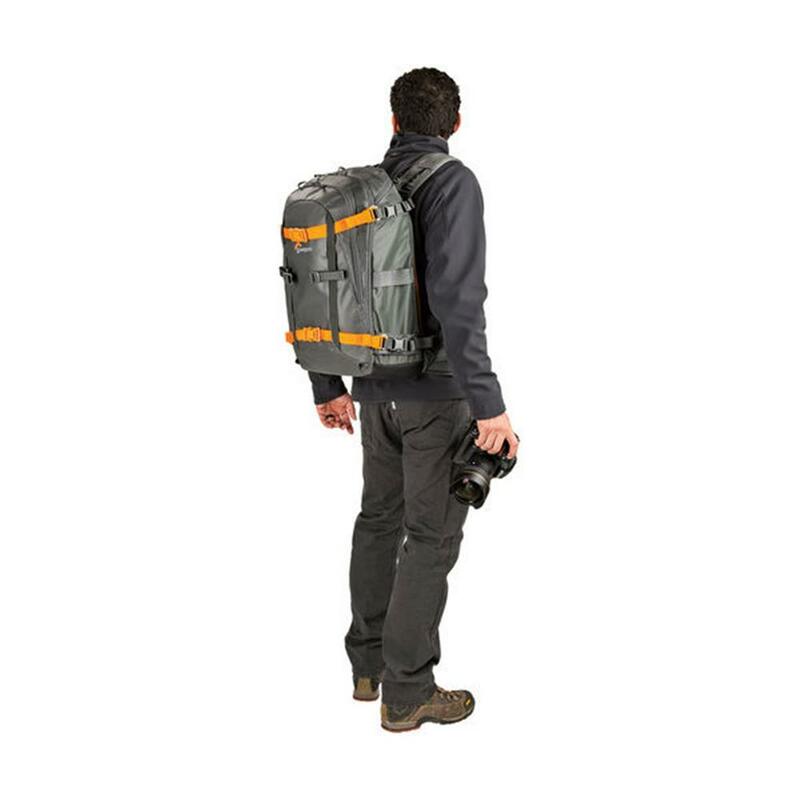 Born on the side of a mountain, our Whistler pack delivers amazing performance for wilderness photographers and adventurers who carry an equal measure of camera, video and functional outdoor gear. 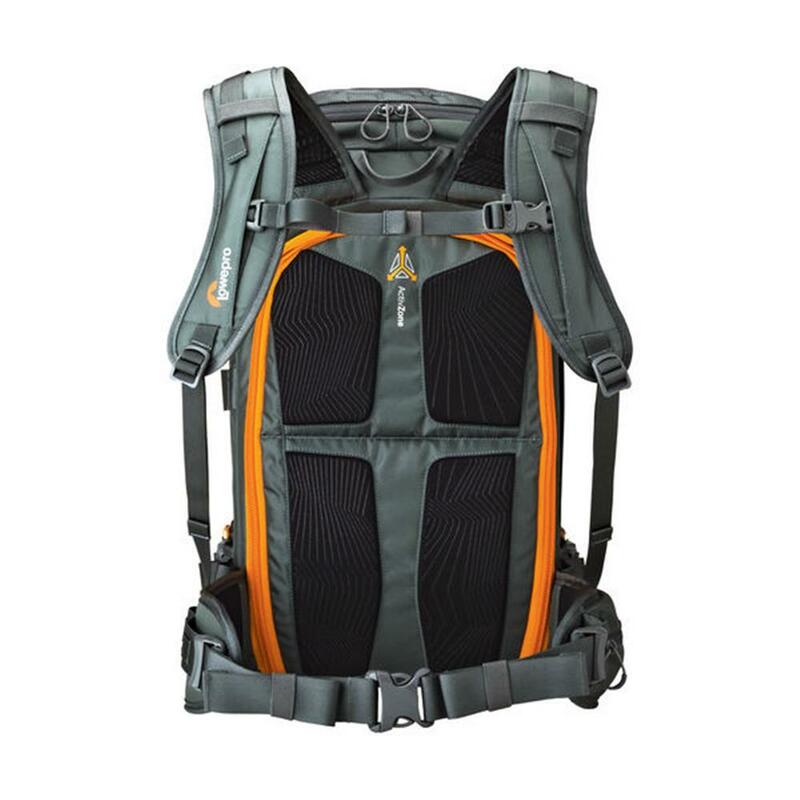 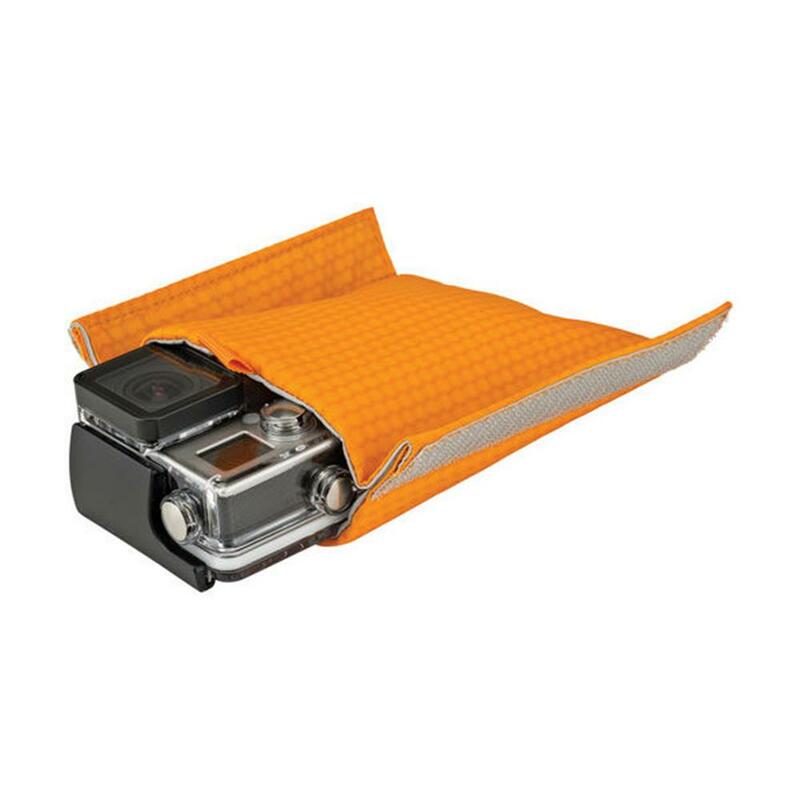 ActivZone harness system provides targeted padding and support for comfort on the move. 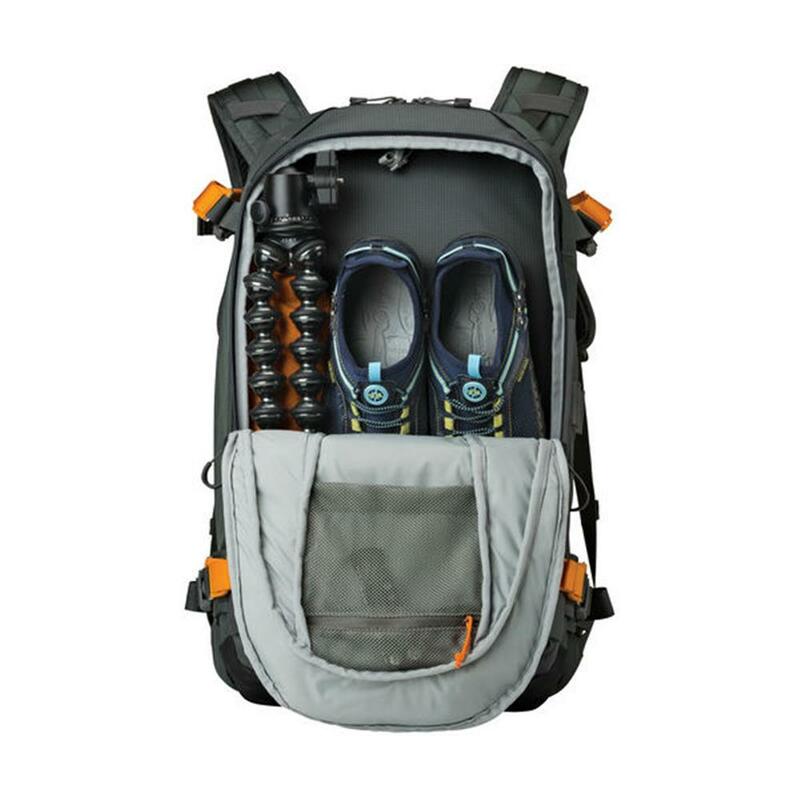 Pack includes a detachable All Weather AW Cover to deploy as needed and protect valuable gear from rain, snow, dust and sand. 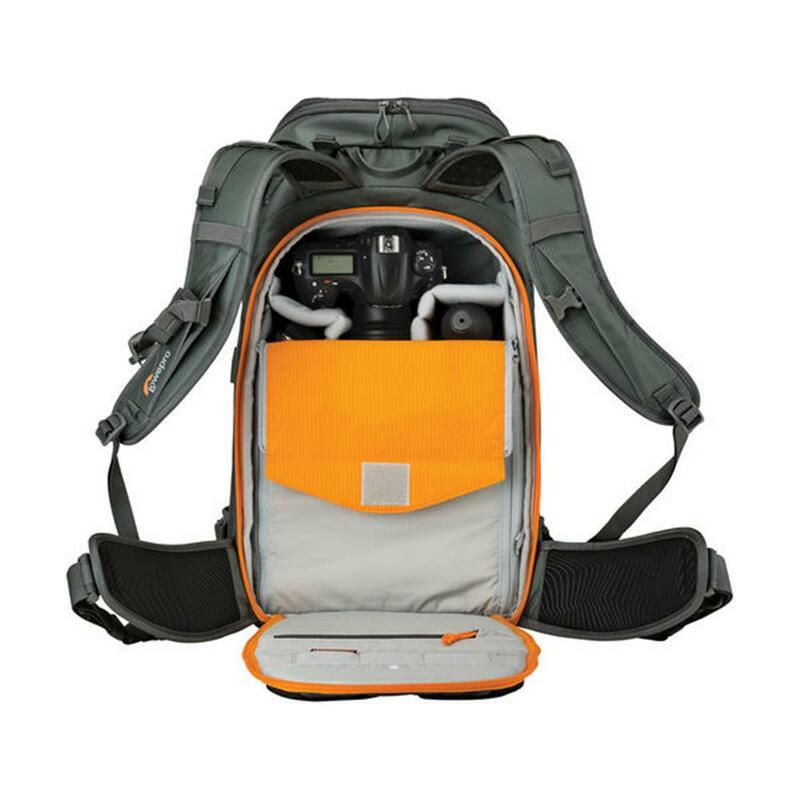 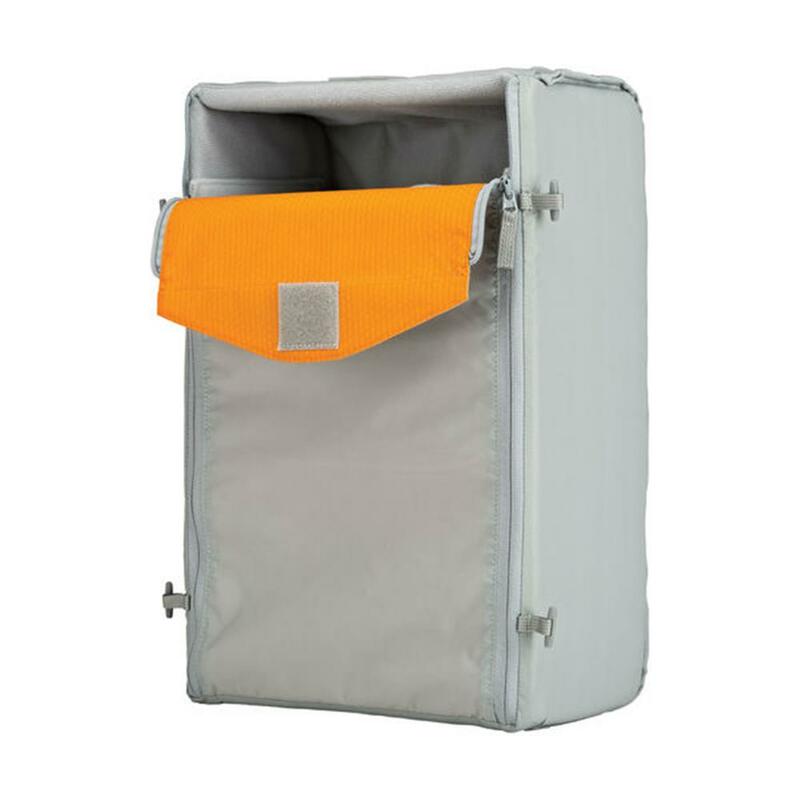 Main camera/video gear compartment includes our exclusive MaxFit system of customizable dividers, designed for fine-tuning of fit and maximum capacity. 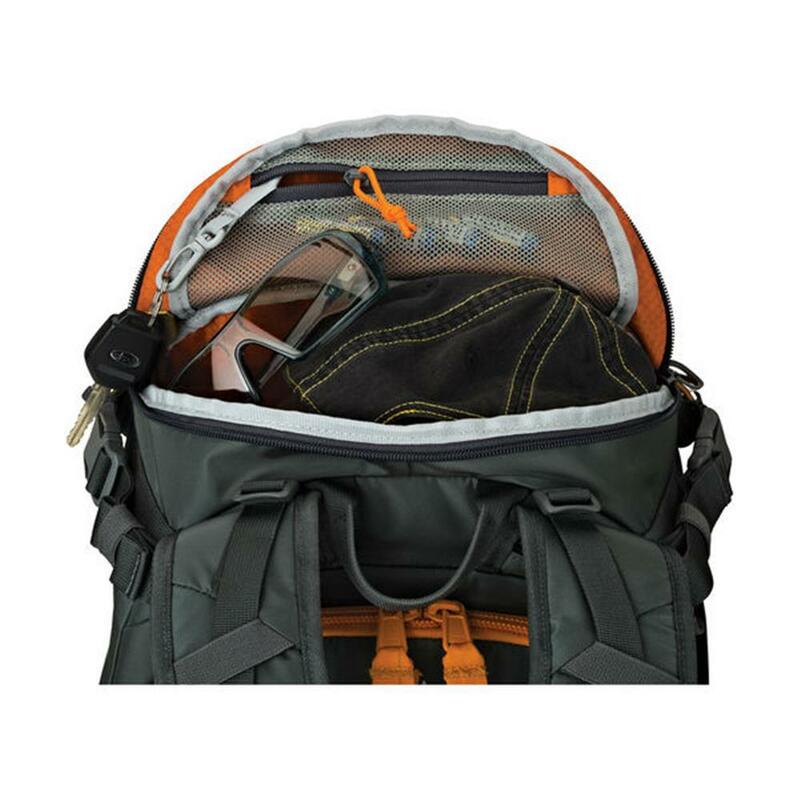 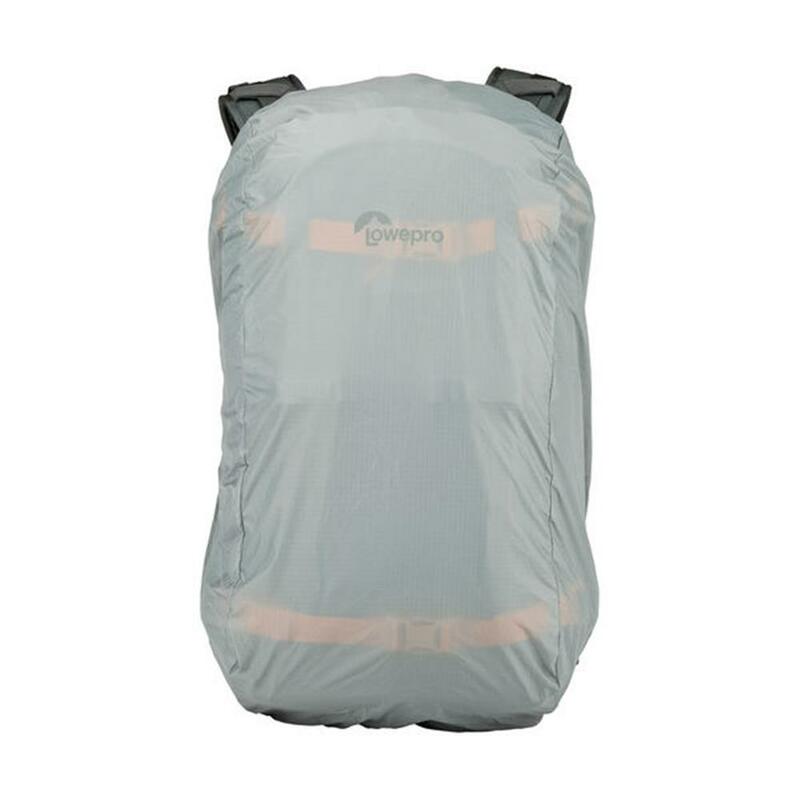 Durable, weather-reistant and resilient outdoor-tech materials and hardware include 420 denier ripstop nylon with TUP face coating, glove-friendly Nifco side-release buckles, all-metal Duraflex hooks and Hypalon base.